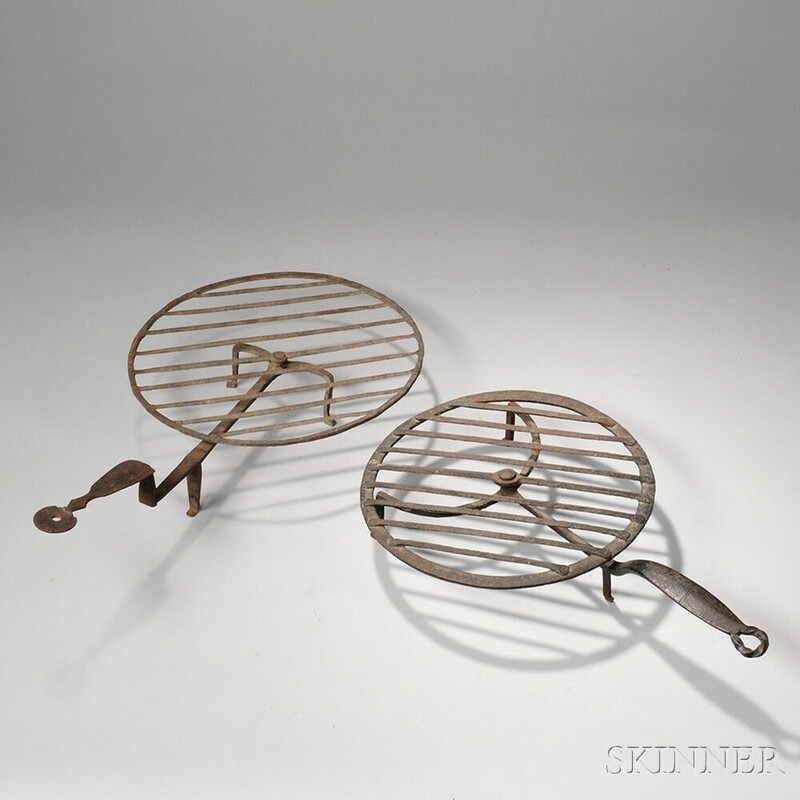 Two Wrought Iron Revolving Broilers, America, late 18th/early 19th century, one with a circular gridiron with parallel bars on a base with three feet and an offset handle with heart and diamond shaping and penny terminal, ht. 7, lg. 22 3/4, wd. 13; the other having a circular gridiron with parallel bars on a base with three feet and a flattened, offset handle with incised line decoration and twisted rattail terminal marked "1820" on bottom, ht. 4 1/2, lg. 19 1/2, wd. 12 1/2 in.